Many bloggers compete for the public’s attention today. Aside from writing compelling and really interesting blogs regularly, avoiding these blogging mistakes can help your blog stand out from the crowd. Soon enough, constant sharing of your posts can grow your followers and more brands will pursue you to get their products and services featured (for a free, of course). Having a strong social media presence also helps speed up the process because that’s where the millions of people frequent on a daily basis. 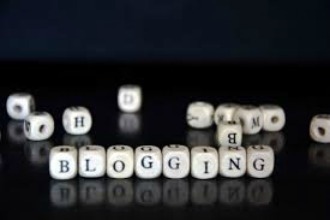 When you decided to start a blog, were you expecting it to be an instant success? Business blogging is part of marketing, and it’s not a sales tactic. Yet, you’ll still see so many businesses shut down or misuse their blog because they’re not seeing the instant results they expect. These executives don’t have a clear understanding of how blogging works, so it’s important you prepare the best ways to explain its value to them. While most started blogging as a hobby, many have now shifted their priorities and they want to make as much money as they can from their blog posts. However, only a handful becomes profitable over a short span of time. Many bloggers struggle to get their name out there and be noticed by people. In short, don’t expect immediate results because you are in for a big disappointment. It takes some time to accumulate enough blogs to lure people into your site and just as much time in building your name and gaining followers. But if you avoid the blog mistakes mentioned above, you’d be able to expedite your journey although don’t just expect too much at first. While the journey may take some time and get bumpy, all your efforts are worth once you establish your reputation as a blogger and social media influencer.